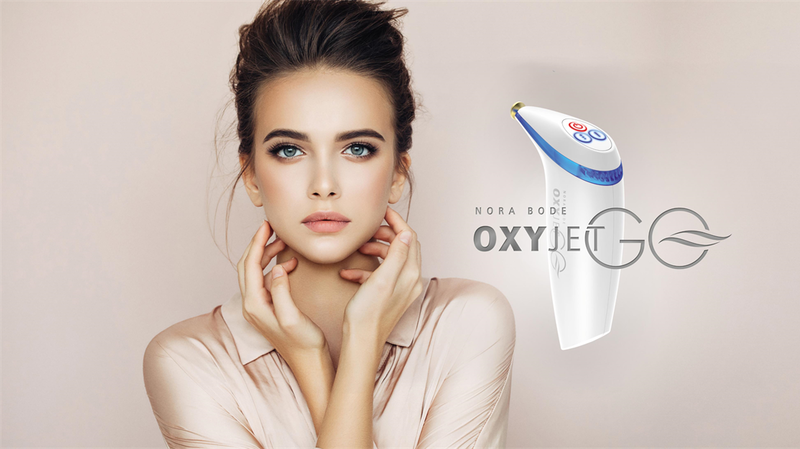 The OXYjet system is a high-tech treatment method, delivering needle free oxygen pressure injections, developed and built in Germany by Nora Bode, the original inventors, and patent holders of the method. OXYjet treatment supplies specially developed plant based cosmetic serums to the dermal layer of the skin, helping with wrinkles, pigment irregularities and loss of elasticity. We are pleased to announce that OXYjet’s patented pulse pressure technology is now available for applications at home with the new OXYjet GO device. The OXYjet GO handheld device has been designed and modified exclusively for home use. It comes with two special cosmetic formulations, which have been developed to use with the fixed pressure of the GO. This state-of-the-art device means you can supply your skin with microencapsulated oxygen and active ingredients to smooth out lines, reduce irregular pigmentation areas, and give your skin a fresh and radiant look, whenever and wherever you like. As we age, the vessels carrying oxygen and nutrients to our face degenerate, so the supply of oxygen and nutrients is depleted to the skin cells, as a result the cell division slows significantly and in turn the skin becomes thinner, dry, wrinkled and in some cases unevenly pigmented. The Answer… The OXYjet GO device by Nora Bode and the specially developed preparations 1 and 2. Both of the serums are essential for an effective and successful treatment, and are free from parabens, fragrances, alcohol and PEGs. They are applied directly onto the area to be treated and pushed deep into the skin by the pulsed pressure of the GO. OXYjet Serum 1 releases molecular oxygen and is the foundation of the treatment. 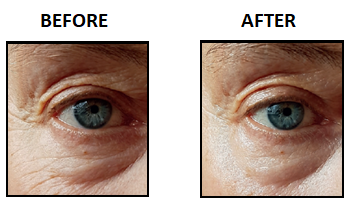 Delivering microencapsulated oxygen, hyaluronic acid, plant extracts and moisturisers, the skin is visibly improved, and wrinkles diminished and smoothed. OXYjet Serum 2 aims to give your skin increased volume from the inside out; using a special plant ingredient approved in Ayurvedic Medicine over hundreds of years can enhance the plumpness of the skin; the eye area is also soothed with puffiness and dark circles noticeably reduced. 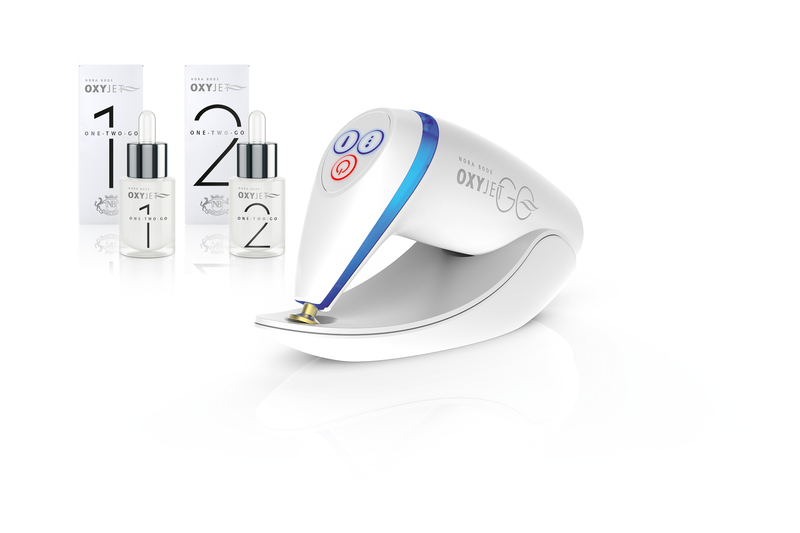 To get the best results from your OXYjet GO treatment, a deposit of active ingredients should be built up in your skin, in order to do this; it is recommended that you use the device 3 times per week for 4 week; also applying both serums 1 and 2 to the face morning and night under your usual skincare. The highly concentrated active ingredients of the sera will continue to support those provided by the device. When you have finished the 4 week cycle, you should use the OXYjet GO once a week to maintain the new youthful, fresh and glowing appearance.